Peach Tree is a fine accommodation at a pocket-friendly price. 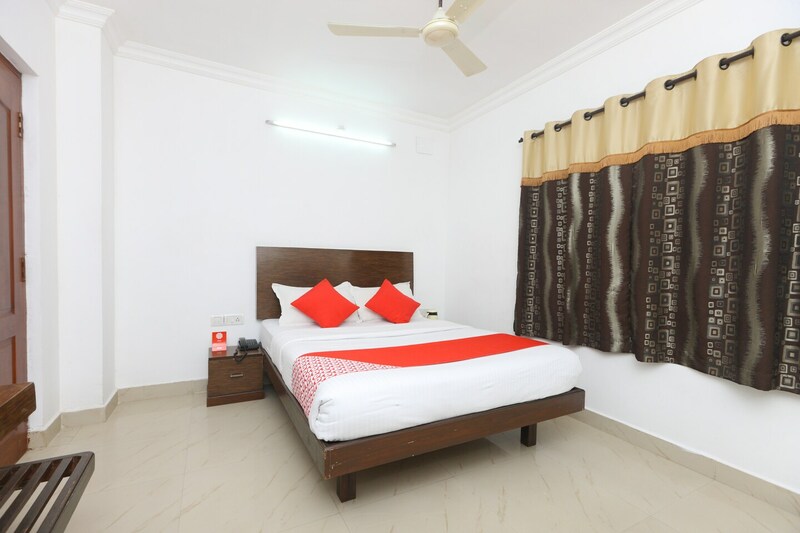 The rooms are spacious and equipped with basic amenities for a relaxing and comfortable stay. The bathrooms are also well-equipped with required amenities. There is an in-house restaurant where guests can relax and enjoy delicious treats. The conference room in the hotel can be used by the guests for meetings and events. Living room in the hotel is also furnished where guests can relax and unwind. Guests can enjoy their stay and be assured of security as CCTV cameras are installed across the hotel. Laundry service and free Wi-Fi service is also available for the convenience of the guests.